Develop email strategy through Mailchimp, design newsletter template and execute template for weekly newsletter. In 2016, elevated overall email strategy by co-creating content with creative team, project management and merchandise team. From 2014-2016 email subscription increased 64% and sent 72M emails annually with KPIs including; lead generation, subscription box signups, and direct sales. Sent through MailChimp. 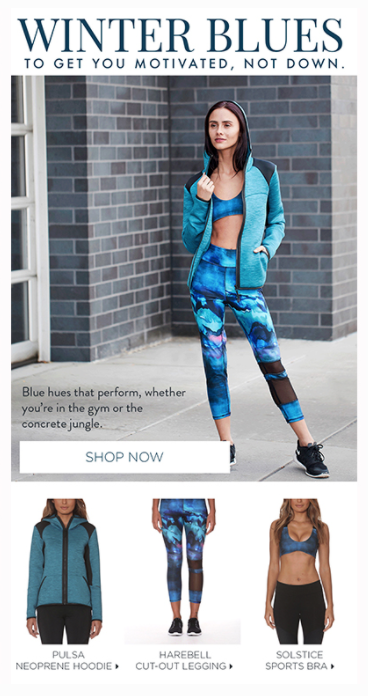 December 2015 launched Wantable's first holiday campaign featuring all 5 categories including Style, Fitness, Accessories, Intimates and Makeup. 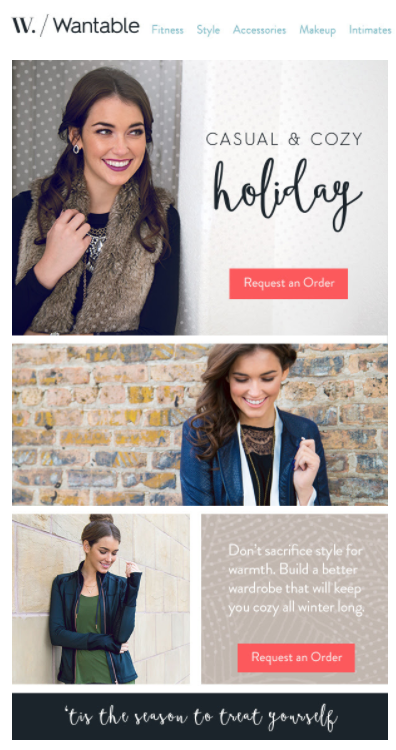 The campaign ran as an email initiative to increase sales purchased for "herself" during the holiday season. Sent through MailChimp. Created email strategy for 2018 including Launch Party communication and CRM automation campaigns. Utilize CRM to create automation campaign for marketing campaign through ClassPass and for event attendees. Sent through InfusionSoft. My personal page that discusses life of being a twenty-something, marketing tips and tricks, networking opportunities and traveling. Doubled followers in less than one year through more purposeful posting and engagement with followers. Audit and strategize posting schedule for Instagram and Pinterest. Engage on Instagram to gain followers and create relationships with potential new clients. Write copy for Instagram that encourages people to respond, resulting in a 64% comment growth week over week. Takeover newly created Instagram and Facebook accounts to create consistency and awareness in the Betta fish community. I've been a ghost writer for The Busy Bee in an effort to support the growth of the Web Designers business while still maintaining her voice and design preferences on her blog. 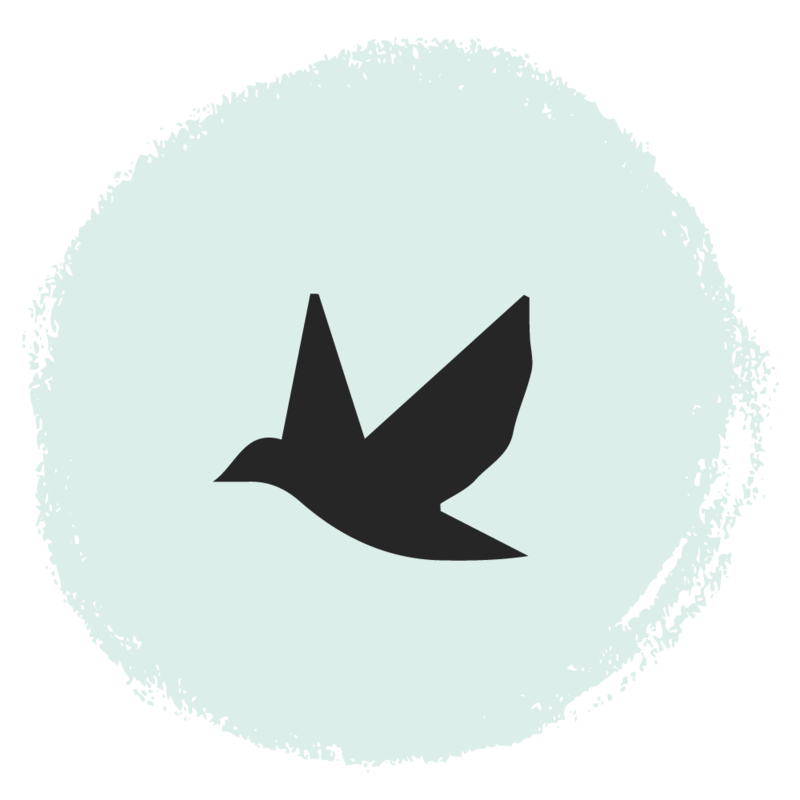 Blog contributor for a medical spa in Whitefish Bay focused on research based blog posts with an approach that anyone can understand. Ghost writing for local blogger to aid in content consistency and consult on distribution strategy. Create weekly topics for blog content and strategize SEO for Betta fish. 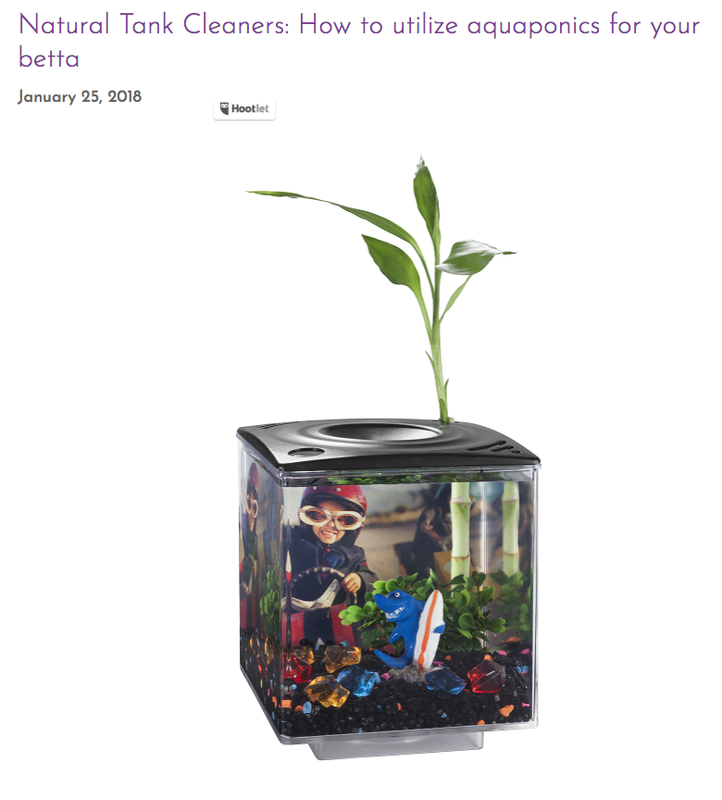 The primary goal is to raise awareness of safety and necessities of Betta fish, while sprinkling inbound links when it fits with the subject. Featured in a female entrepreneurial blog "The Lady Boss Blogger" in an extended version of a post I did on TerressaNicole.com. The post featured SnapChat vs Instagram stories and how to decide what works for your business.